Francis' Silicon Valley Real Estate Corner...: LASD to expand? 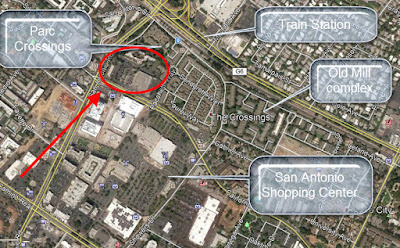 - And create a new school close to the San Antonio Center? Sound Real Estate information for the mid-peninsula of San Francisco: the Silicon Valley. LASD to expand? - And create a new school close to the San Antonio Center? Will LASD be successful in its bid to create a new school at the site of the old Old Mill shopping center? The location is right next to the Parc Crossings complex and a stone's throw to the Old Mill complex of homes. This 12/12/17 article from Kevin Forestieri of the Mountain View Voice goes into the complexities of the proposition, some historical perspective and future possibilities that it opens. The comments below give an idea of how controversial the various use choices for the location will be (should the project come to fruition). Trends: Local prices and graphs. Realtor in the Silicon Valley, Since 1985. Tiny Homes in the Bay Area?